When it comes to trying to find a comfortable drive as a tall person, most will offer the suggestion of large SUVs or massive trucks. However, there are some of us who would prefer better gas mileage and a car that actually fits in our garage. Here are the best compact cars that offer extra head and leg room for all those tall people out there. 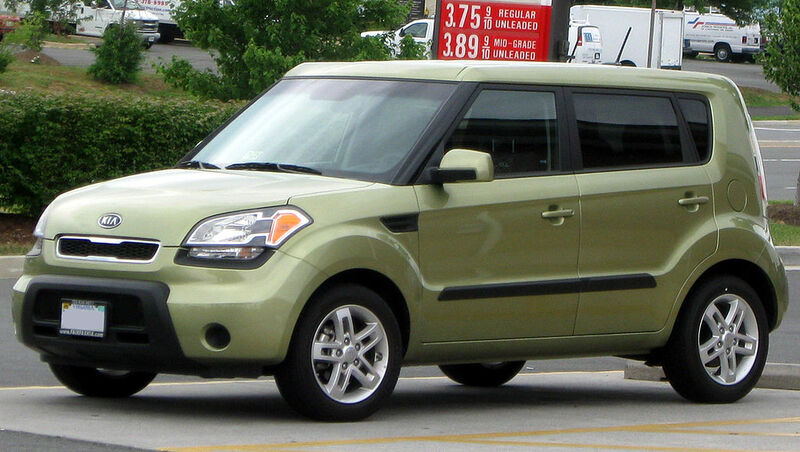 The Kia Soul’s unique, square design gives drivers and passengers plenty of headroom. It is also known for extra legroom. It has top safety scores and plenty of cargo space, making it great for not just a tall person, but a whole tall family. The Honda Accord is rated top of its class as a reliable midsize car. In the front row, it has 39.1 inches of headroom and 42.5 inches of legroom, giving plenty of needed space for a tall driver. It has fantastic fuel economy (27 mpg in the city and 36 mpg on the freeway.) Plus, newer editions have the perk of heated seats in the front and back rows, making winter drives much cozier. The Honda CR-V was rated the Best Compact SUV for Families and the Best Compact SUV for the Money in 2017. Each row of seats has more than 3 feet of leg room and the car has overall great headspace. It also has a standard backup camera to help with any blind spots. This car is also known for good fuel economy, which is always a plus. The Subaru Forester is another compact SUV that comes with great leg and headroom. It has wide opening rear doors that make an easier entry and exit for the long-legged. This 5 seat SUV also has the highest cargo space in its class, making it great for long drives or road trips. The Chevrolet Impala has a spacious four feet of leg room in the front row. No more cramped knees to the dashboard! The back row has plenty of leg room for three adults as well as lots of cargo space. The Toyota Avalon’s seating just got more comfortable, not just because of the 38 inches of headroom and the 42 inches of leg room, but also for its ergonomic design. The Avalon also scores high in safety features, making it a smooth ride. The Kia Optima has 45.5 inches of legroom in the front row, making it a comfortable ride for a tall driver. It also has great gas mileage both around town and on the freeway.